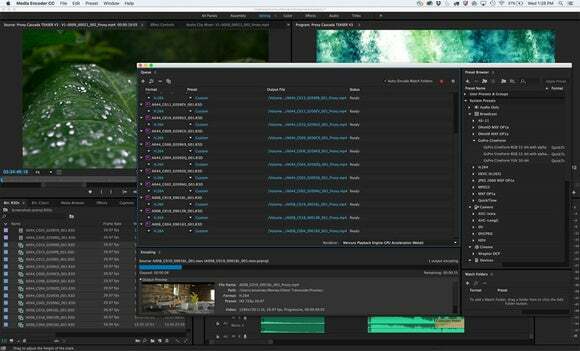 Video editor delivers a winning combination of performance enhancements and awesome new proxy workflow. There was a time not so long ago when 1080p HD video seemed like a standard for the distant future. Not only has its time already come and gone, but 4K, with four times the resolution of what was once considered “high-definition,” is already giving way to 6K, 8K, and beyond. That’s created a challenge for those in post-production, because CPU and storage access times haven’t advanced at the same pace. Add to this the growing popularity of portable MacBooks over desktop systems like Mac Pro, and something’s got to give. While Apple has been slow to embrace resolutions above 4K with Final Cut Pro X, Adobe has welcomed ever-expanding file sizes and formats with open arms, despite users lacking the necessary hardware to take advantage of them. With the mid-2016 release of Premiere Pro CC, this early adopter mentality finally makes sense. 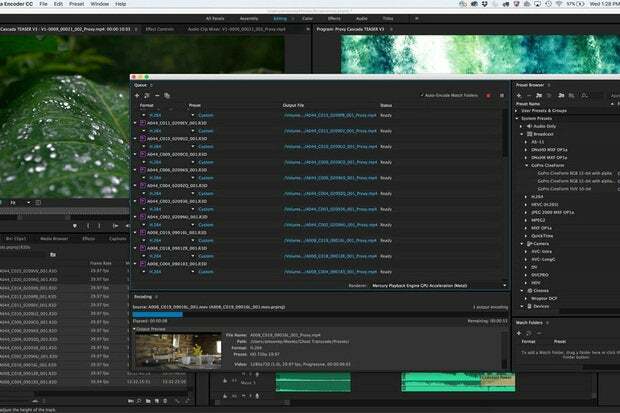 The new proxy workflow in Premiere Pro CC 2015.4 allows editors to create lower-resolution media on the fly, or as full-resolution content is being ingested. 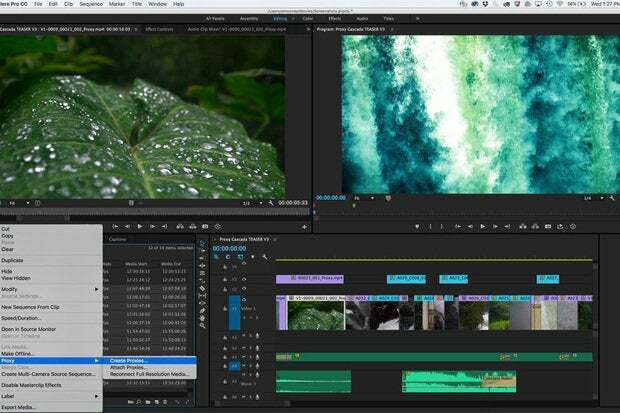 On the surface, Adobe Premiere Pro CC 2015.4 ($20 per month on an annual single app plan; other plans available) might seem light on new features, but there’s more here than meets the eye. The awkwardly-numbered release builds upon last year’s more expansive update, which introduced a Lumetri Color panel, Adobe Stock integration, and Libraries support. The most prominent feature this year is a revamped proxy workflow, which allows users to create lower-resolution files that don’t require the additional horsepower of 4K and higher media. While this functionality has existed to some degree in earlier versions, the procedure has been streamlined across the board and is now easier than ever. 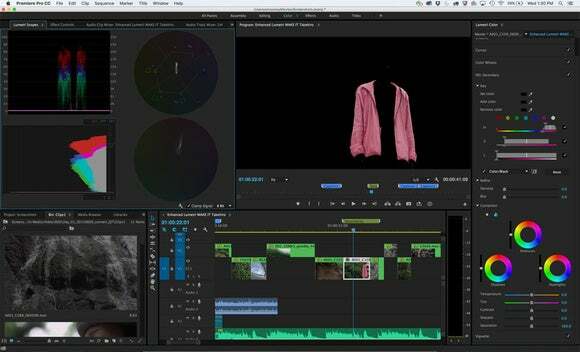 For starters, editors can create proxies on an individual basis or when media is first ingested, a process that happens automatically in the background with the help of Adobe Media Encoder CC, even as you start working with that media in a new project. In addition to proxy creation, users can alternately copy media to a new location or transcode to a new format; a fourth option first makes a copy of the original media prior to creating proxy files. 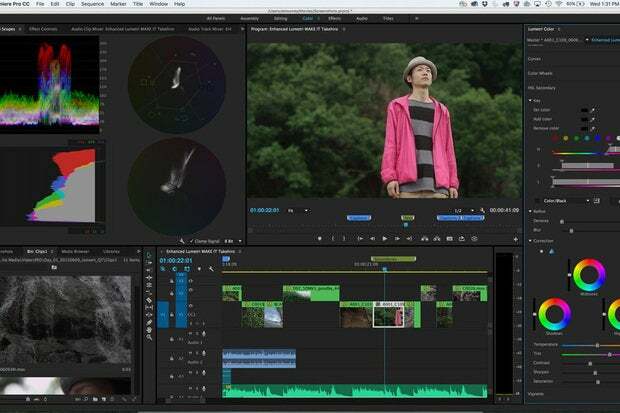 Premiere Pro CC 2015.4 works in conjunction with Adobe Media Encoder CC to process proxies in the background so editors can get to work right away. Projects link to these newly-created, lower-resolution files for faster playback and editing, but you can toggle back to full-resolution at any time with a single click for final mastering or export. A variety of presets are included, but you can create your own to cover any scenario. 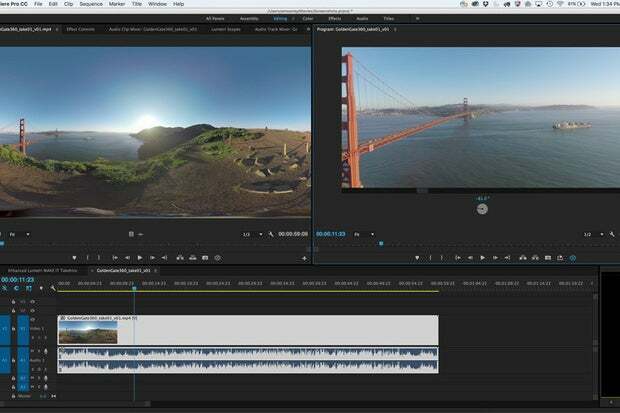 Along with nimbler editing, Premiere Pro CC offers increased performance as well, thanks to initial support for Apple Metal, the hardware-accelerated API ported from iOS to OS X El Capitan last year. You’ll need a Mac of fairly recent vintage (2012 or later) to feel the difference, which was most noticeable with real-time effects and fewer dropped frames during playback. New HSL Secondary controls in Premiere Pro CC 2015.4 make it easy to isolate and fine-tune specific colors. Other improvements include the ability to create and edit open captions (more commonly known as subtitles) without the need for third-party plugins. Although this feature is currently limited to basic font, color, size, and on-screen positioning, an update coming later this year goes even further, providing a streamlined workflow and Edge Color, which ensures captions will be readable on any background. 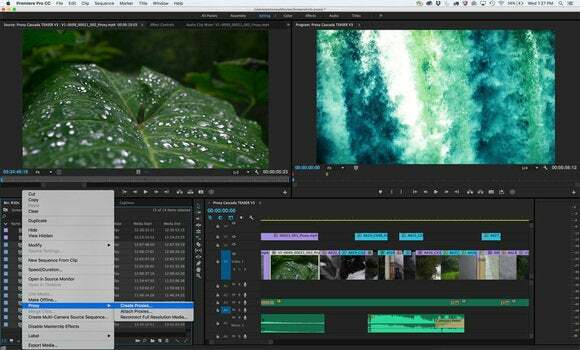 Last but not least, Adobe has made good on its promise to support more legacy QuickTime codecs: Premiere Pro CC users can now natively import AAC or PNG files, as well as import/export Animation files. This won’t matter much for Mac owners, but makes life easier for those on Windows after Apple abandoned QuickTime support earlier this year. HSL Secondary controls are integrated directly into Premiere Pro CC’s comprehensive Lumetri Color panel. Virtual reality hasn’t gone mainstream quite yet, and one reason is that it’s still too difficult to create the spherical media required to use it. 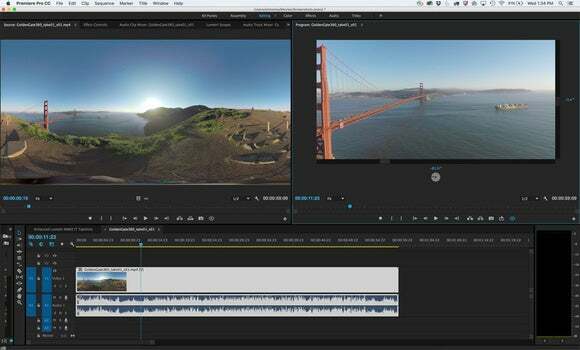 Adobe nudges things along with improvements to the VR tools already baked into Premiere Pro CC. The most obvious is the ability to properly preview VR media, either by clicking and dragging on the video itself, or using new tilt and pan controls in the Source monitor. I didn’t have much luck with smooth full-resolution playback on my iMac Retina 5K; Adobe recommends “a well-powered GPU,” but viewing at one-quarter resolution worked much better. Adobe engineers also aren’t resting on their laurels with last year’s Lumetri Color tools. In addition to enhanced control surface device support, a new HSL Secondary section allows users to better isolate specific colors or luma keys, then apply secondary correction to only that area. It’s a great improvement, and easy enough for novice users. One subset of users who won’t be happy are those who rely on SpeedGrade CC, the company’s professional color grading software. Adobe curiously removed Direct Link earlier this year, citing project formatting incompatibilities. 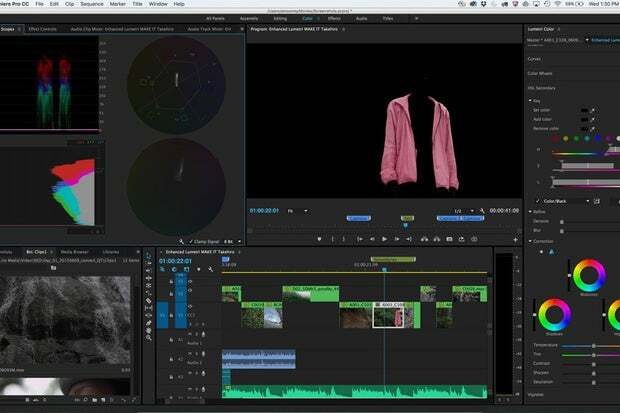 Given the robust color grading tools now available in Premiere Pro CC this isn’t a huge loss, and I suspect more SpeedGrade functionality will eventually make the leap in time. Editors working with spherical VR media can now preview content in real-time, but this feature has some fairly heavy GPU requirements. 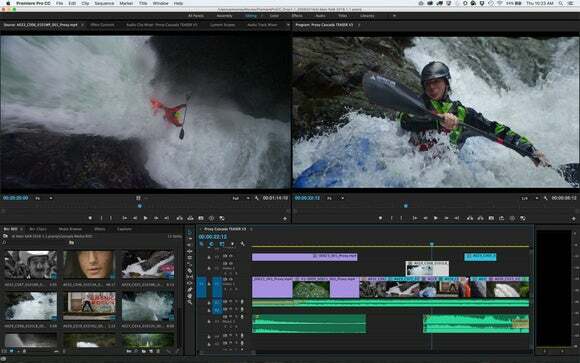 Adobe avoids calling it the 2016 edition, but Premiere Pro CC 2015.4 delivers a winning combination of performance enhancements and awesome new proxy workflow. 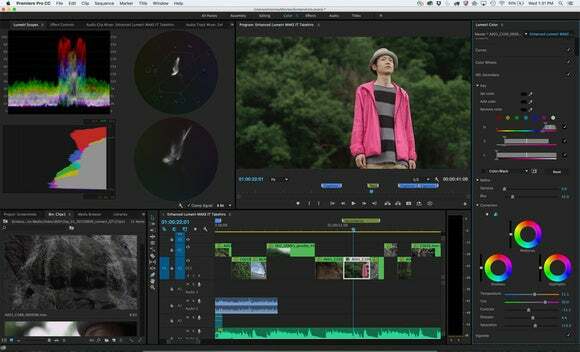 Adobe Premiere Pro CC (2015.4) is industry-leading video production software that offers wide native file format support for professional film, TV, and web productions.